As we all know the end of term and the end of the school year is fast approaching! While this is exciting for the students knowing the days of studying and homework are almost over. The teachers must be trying to make sure every topic is covered over the next ten weeks. We know as the weather gets warmer concentration also gets harder! Have you ever thought about hosting a rewards day at your school? What is a rewards day you may ask? It is a whole day of study free fun and entertainment on a school day! This could be a fantastic way to get the attention of the students and inspire (blackmail) them into studying hard so they can have this day at the end of the year. Traditionally the reward days are for graduation classes from years 6 or 12. We say every year deserves a rewards day! Read on for some great ideas on what to do for your school’s reward day. Why not visit Perth’s very own theme park for a day of extreme fun? Adventure World can offer great discounts for large groups. If your students are adrenaline junkies this is the place for them. We’re certain your graduating class of 2016 would be happy to spend one of their last days at school here. There is something for all ages and sizes, so if you have some students who aren’t a fan of extreme rides, they can enjoy the pool, bumper boats and other scenic activities. The only thing you’d have to worry about is making sure everyone comes home at the end of the day. One of the newer rides Adventure World has to offer is ‘THE KRAKEN’ this huge attraction is not for the faint hearted. Your students will be running to this one as soon as they enter the park. We’d recommend letting the class do their own thing, as there is so much to do and not everyone has the same interests. Create meeting points to check in with the students throughout the day and a final time to leave the park. More importantly, celebrate the end of another successful school year! 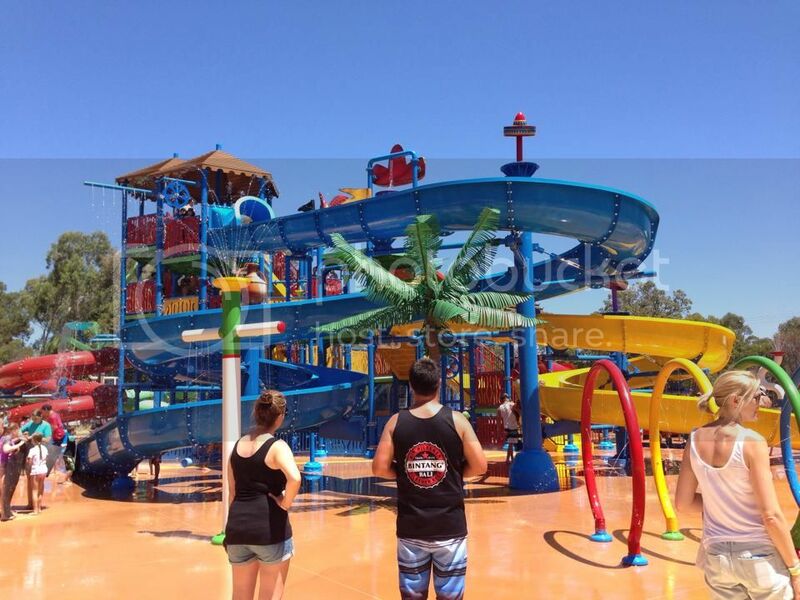 If you want a slightly cheaper option than Adventure World, why not check out ‘The Maze Home of the Outback Splash’. Situated in Bullsbrook an hour drive from the city this park is perfect for the warmer weather. Not only are there water slides to enjoy, but there are dry attractions, animals and the actual maze feature. Get your students to work as team to get through the maze and once they make it out they can enjoy the rest of the day getting wet and wild on the slides! This option is also great for large groups as the park has so much to offer. Ensure you plan meeting points and times throughout the day. This will help the students with their own time management skills. The best thing about Perth is our summer! Have you thought about creating your own inflatable water park in your school? Monsterball Amusements & Hire have a huge range of water slides to suit every budget. From water obstacle courses to standard slides, there is something for everyone! Why not organise a combination of inflatables (word on the street is they have excellent package deals). We know sometimes taking the students out of school grounds is a huge process. So why do something like this on your very own oval? Water slides are the perfect way to keep cool under the sun. Don’t worry teachers all of the equipment is fine for adult use. Why not organise a rewards day? This will give the students the extra push they need to study just a little bit longer knowing this exciting day is coming up!